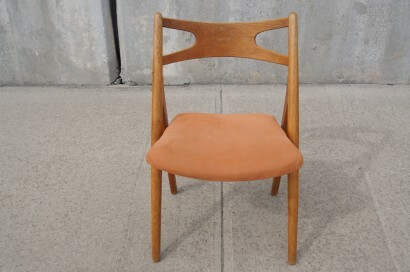 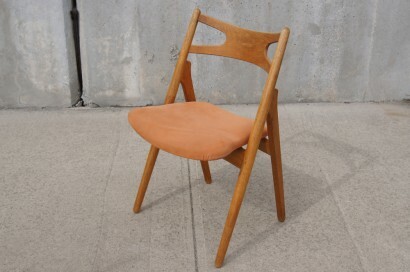 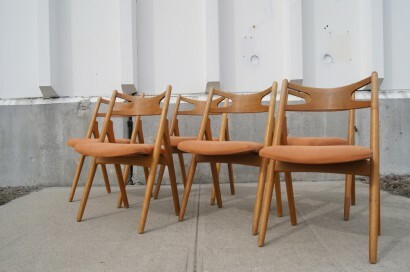 Hans Wegner’s CH-29 uses a minimum of parts to create a sturdy but visually light chair. 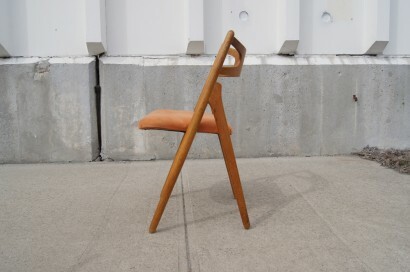 The unusual construction allows for a wider seat in the front; along with the curved backrest, this makes the chair extremely comfortable for long hours around a dining table. 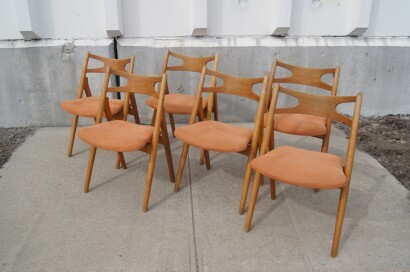 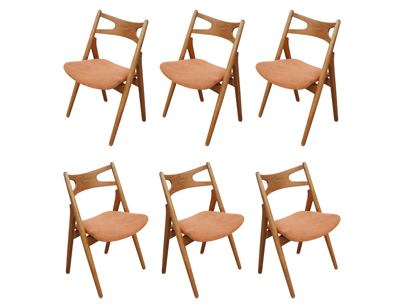 This set of six comprises a solid oak frame with upholstered seats. 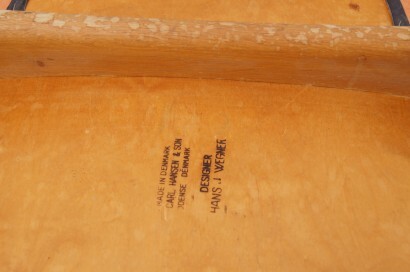 The frames are in excellent condition. 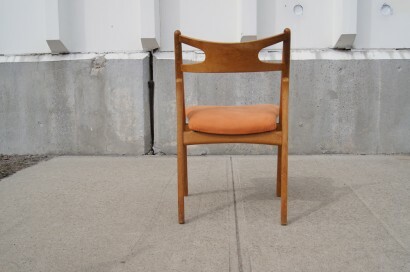 The textile is in very good condition with no rips or tears, but could use a light cleaning.